We rely on "creative donations" from creative and talented sponsors who spend some of their time helping out the community. Following are the sponsors we have teamed up to help us with the campaign and spreading road safety awareness. All the works till now have been collaborative work between us and the sponsors. StepStone is a leading communication platform to interact with the youth in an engaging manner helping Brands, Agencies, Government & NGO’s to connect, engage, communicate with youth population. StepStone has partnered with the foundation to spread road safety messages to the youth population via airing messages in universities and provided services valued USD 11,750 . Visualem is a state of art video production company located in Spain and makes high quality videos for business, events streaming, motion graphics and more. Visualem helped Suraya Foundation make the high quality introduction logo animation. They provided services values USD 2000. Murdoch University Dubai has sponsored us by helping us complete our "Are You Reckless?" campaign. We used Murdoch’s state-of-the-art recording facilities and their talented students to record the radio advert in Hindi, Arabic and English. Murdoch University is located in Academic City and provides wide range of quality undergraduate and postgraduate courses to further your career. 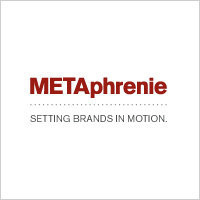 METAphrenie is a leading design studio located at Dubai Business Towers in Dubai. They have worked for high profile clients from Al Jazeera, Adidas and Reebok. Metaphrenie has helped Suraya Foundation on Road Safety Oath project by donating $4500 worth of creative work.